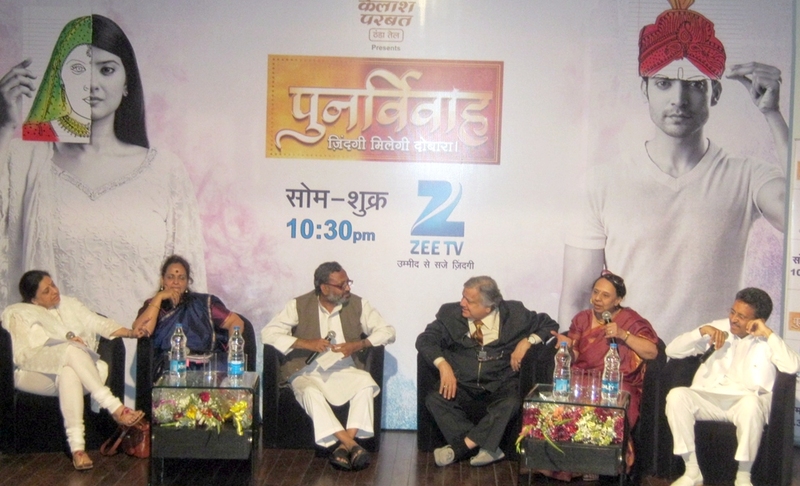 Sparking off a debate on the issue of ‘remarriage’ in the city on Wednesday, March 28, Zee TV brought together a panel of experts who shared their views and perspectives on the controversial subject that still remains a taboo across several sections of society. Following the launch of Zee TV’s show ‘Punarvivaah’ which sensitively deals with the issue, the channel has embarked on a nationwide campaign aimed at driving people to think in an evolved manner about the subject and eliminate the stigma that surrounds widows or divorcees seeking to rediscover marital bliss a second time. 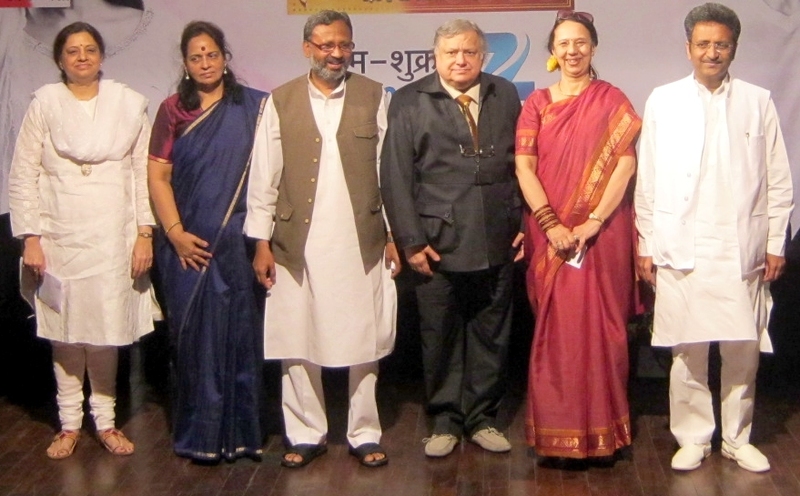 For the discussion held at the Zee TV auditorium, Ms. Kumkum Chadha – Consultant with Hindustan Times and formerly its Editor (National News) was joined on the panel by Mr. Calla – Retd. Justice of Gujarat and Rajasthan High Court, Dr Aruna Broota who has been a professor at the Department of Psychology with a doctorate in clinical psychology, Adv. Nirmala Samant Prabhavalkar- Ex-mayor of Mumbai, Dr Shakeel-Uz-Zaman Ansari Ji.- Secretary of All India Congress Committee and Chairman of the National Minority Forum, Dr. Shobhit Kumar- Chancellor of Shobhit University. The discussion threw up some interesting questions on the subject of remarriage – What could possibly be wrong or objectionable about two people getting remarried and attempting to find happiness in life after a failed first marriage? Are divorcees or widows not entitled to start over afresh? ‘Debate Punarvivaah’ also questioned the double standards Indians display towards the issue of remarriage: While men can easily remarry, women who wish to remarry are frowned upon by the conservative sections of Indian society. Why the gender bias? The debate then probed into the success of remarriages – Can a person after having loved his or her partner deeply in the course of their first marriage get oneself to move on and love a second life partner? On the other hand, if a person has been left emotionally bruised by an abusive spouse in their first marriage, does he or she ever manage to wipe the slate clean and give their second partner a fair chance? Or does the baggage from the first marriage often kill the prospects of happiness in the second marriage? The discussion also considered cases of divorcees or widows who already had children from their first marriages. The discussion deliberated on the impact of their marriage on the psyche of their children. Are most children typically resistant towards their new step-parent? Can their negativity be won over through love and affection in the longer run? Does having a caring father/mother figure (even if it is not their own biological parent) help their holistic growth and development? With each panelist bringing his own original perspective to the discussion and all the audience members participating actively, the discussion at ‘Debate Punarvivaah’ turned out to be fruitful with a lot of fresh insights on the issue of remarriage coming to the fore. Punarvivaah is a mature, progressive show that sensitively captures the journey of a man and a woman, who having faced a debacle in their first attempts at marriage, are brave enough to give life a second chance. The show delves into the dynamics of re-marriage, showcasing the trials and tribulations that are a part of re-adjusting to a second life partner. When the man you called your soul mate leaves you for another woman, can you possibly bring yourself to believe in the sanctity of marriage again? After the woman you fell hopelessly in love with passes away, crushing your every romantic dream, can you muster the courage to feel for another afresh? Will the two be able to bring happiness to each others’ lives and feel complete once again? Will the two feel the same intensity and excitement that they had experienced in their first brush with love? Stay tuned to Zee TV’s ‘Punarvivaah’ – a show that is attempting to make a difference to public perception about the issue of remarriage at 10:30 PM every Monday to Friday on Zee TV.